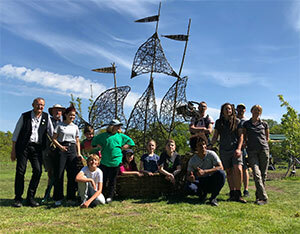 Trees for Life – our long-term commitment to planting and protecting trees – started in 1990 inspired by Blue Peter, the children’s TV programme. It started with a promise made by the third-generation family business leader – Jonathan Wild – to his children. Upset by Blue Peter’s report on global deforestation, Jonathan promised them that if they planted one tree, he’d find a way to plant 999,999 more. 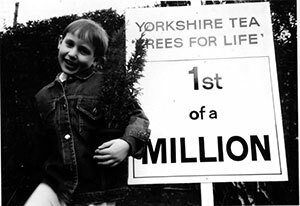 In 1990, Trees for Life was launched – initially on packs of Yorkshire Tea – with a commitment to plant one million trees. With the support of our customers, we reached the one million tree milestone in ten years. That tree, along with the two millionth which was planted by HRH The Prince of Wales, can be found outside Bettys Harrogate. Thirty years on and we’re still planting trees and over the years we’ve planted more than three million trees worldwide and protected 237,000 hectares of Amazonian rainforest, an area larger than the Yorkshire Dales. 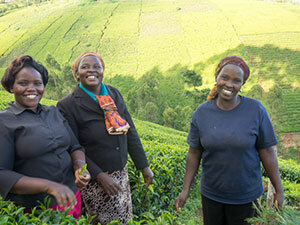 Over the years our tree-planting projects have directly enhanced local environments by reducing soil erosion and flooding; improved water conservation; supported families and communities by providing food and enhancing livelihoods; and promoted environmental education. Globally, planting new trees plays a role in combating carbon emissions and helps us move towards our goal of a carbon neutral supply chain by 2020. To find out more out the projects that Trees for Life is currently supporting visit our global projects map.